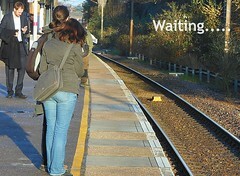 In this Advent season, I have spent much longer than usual thinking through my understanding of ‘waiting’. 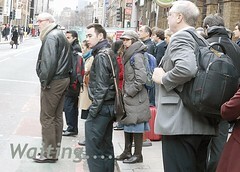 Living in London and commuting, it is possible to spend a great deal of time on tube platforms, bus stops or in traffic, minutes can seem like hours, and patience can be lacking rather more than one may intend. Waiting is not always easy. Whilst thinking things through, 2 characters mentioned in the scriptures have been at the forefront of my mind, one from the traditional Christmas story, the other from Genesis. The one from Genesis is Joseph – a man who spent day after day after day in a prison cell, for a crime he did not commit, never knowing if, or when, he may be released……..waiting, waiting, waiting, waiting, waiting…what must that have felt like? The second is Simeon, a man who was waiting on a promise, not knowing when or how but waiting until that moment came when he was prompted to see the realisation of the promise. Can you imagine the excitement when that day came? Waiting can be a cruel bedfellow but the moment when the waiting ends………now that is joy! Office Worker Advent, a photo by thehutch on Flickr. 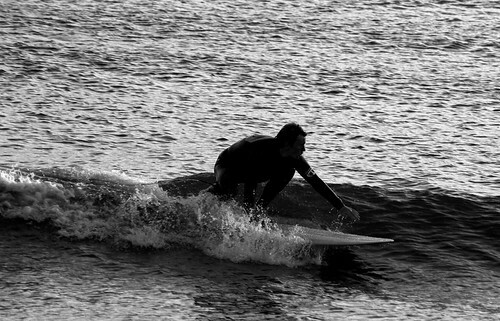 surfs up, originally uploaded by thehutch. ever get one of those days when you are ready to surf but the waves are just not there? It can be most frustrating….the waiting. That is the advent season…..a time of waiting. Be patient, the waves will come!